Clients fly into our camps by float plane or wheel plane. Usually there is only one hunter in a camp at one time. 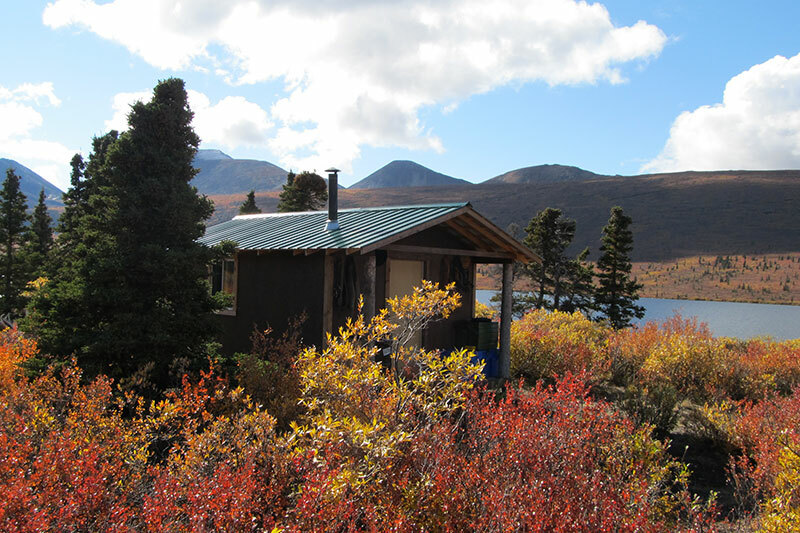 A typical camp has a cook house / guides cabin, a hunter cabin, and an outhouse. 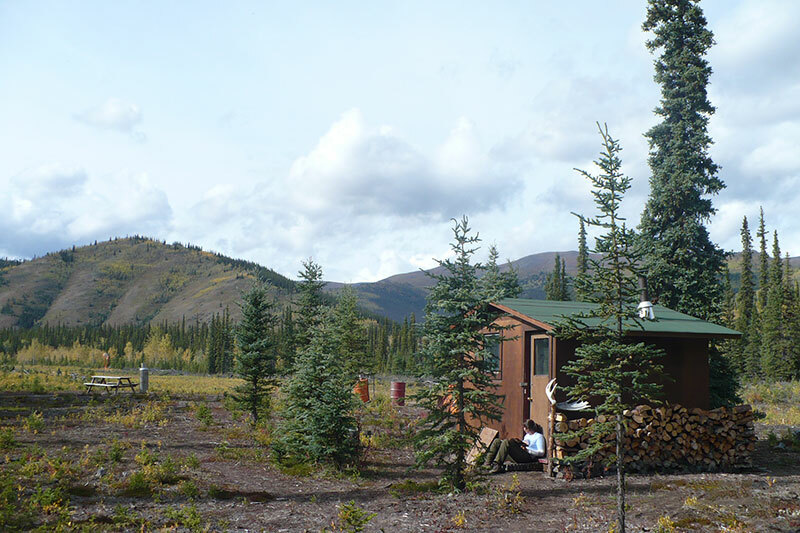 Our cabins are rustic but comfortable with wood stoves, bunks, and foam mattresses. The cook houses are equipped with propane stoves, dishes, and fresh groceries. We do not have power in the camps but we do have some solar lights for later on in the year. Depending on what the guide feels is best for success, you may hunt from “base camp” go to “spike camp”. A “spike camp” is a mobile camp. To travel there we will take the saddle horses and pack horses. 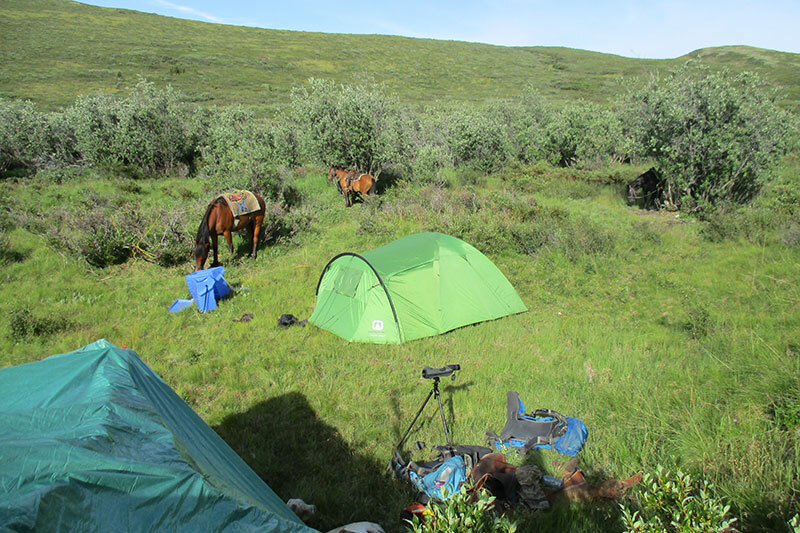 The pack horses enable us to take propane stoves, pup tents, flies, foam mattresses and real food along. 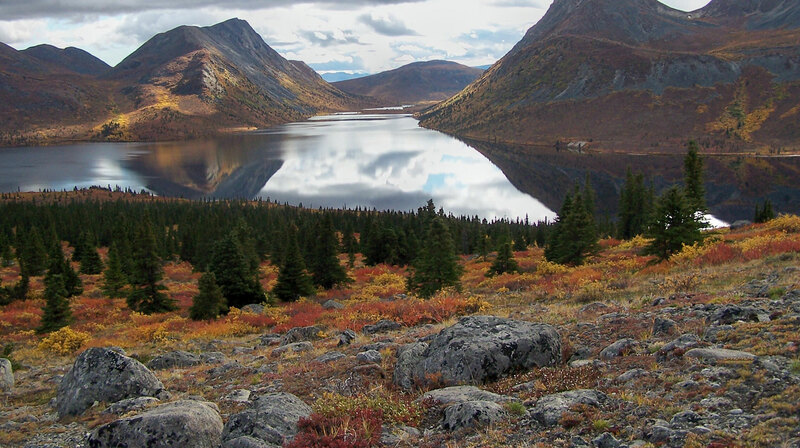 You will have your own tent and guides and wranglers will stay in their own tents. After the hunt we will return back to the base camp cabins.